Compare Us, Look At What You Use Now Compared To What You Could Have With Best Presentation On Earth! Compare What You Have Now To What We Can Offer You Right Now! As you tour our site you'll be able to watch demos, take a trial with full access to our product, look at our packages, and evaluate the value of what we can do for you. 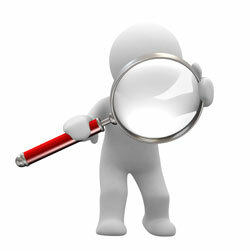 As you go through our website, compare what you can get with us to the way you currently sell your products or services! Is your current sales process based on meeting just one client at a time? 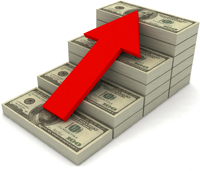 Are you limited to the number of weekly sales you can make because of an 8- or 9-hour work day which limits the sheer number of prospects you can connect with? Do you have sales people on your marketing team, or are you simply an army of one person, which in either case means there is a limit to how many customers or clients that you can prospect and follow up with on any given day? Now imagine now being able to automate your entire sales process to the point where you can meet with anyone at any time as long as they have an internet connection! Given the fact that nearly everyone today has a smartphone, or tablet, or laptop, or desktop computer, that's an extremely likely scenario! By how much would your sales and profits increase if you could double, triple, or quadruple the number of prospective clients and customers you could actually meet with each day? A presentation that was executed flawlessly 100% of the time, where it was impossible to make a mediocre or lousy presentation! It was just the right number of minutes long! It was brilliant in the presentation of the benefits you offered people! It had an impeccable call-to-action and close! It had a built-in mechanism to answer your prospects' questions in real time! It had the ability to not only make and close sales, but it could also collect the money from each sale, too! It had the technology to not only remind people of their upcoming presentation with you, but it could actually follow up for you (on your behalf) after the presentation was over! We're describing what the Best Presentation On Earth automated presentation model can do for you! If the successful sale of your product or service is predicated upon the transfer of information that is complex, or that requires in-depth explanations relative to any aspect of your product, service or opportunity, then it would be foolish to wing it with every live call that came into your business! Sadly, that is what many people do: they wing it, and they blow the sales opportunity. In fact, even doing planned presentations in front of prospective clients or customers does not come off right all the time. The reality is that as humans have good and bad days; they also make good and bad presentations, too! If your business success is dependent upon making a great presentation, then why not ensure that presentation is the best it can be 100% of the time? Simply put, if you could take the best presentation you ever did, and then make it better, and then tweak it some more, and then refine it to the point where it was the best it could possibly be... wouldn't you want to find a way to duplicate that great presentation all the time? That is what creating an automated presentation is all about! Put an end to cumbersome and imperfect live presentations in meeting and hotel rooms, home presentations, office presentations, etc. Instead, why not consider wowing your business prospects by engaging them with a presentation that is not only absolutely perfect, but one that is designed with incredible precision to close sales, too! Next time an opportunity surfaces to make a presentation, simply invite them to your automated presentation and let that marketing funnel do all the heavy lifting! Why not also compare the way you've likely been training staff and employees to an automated system where it all happens at the push of a button! In any business, sooner or later a percentage of people quit, retire, or get fired. Not only do you need to replace those positions, but you have to train the new people to work in your company. How much does training a new person cost in terms of time and money? How much of a disruption or distraction does that cause? What if you could automate training at the push of a button? In other words, craft and create your perfect training session or sessions one time, and then have it available 24/7/365 whenever you need it! 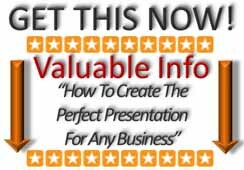 In the same way as you can use Best Presentation On Earth to boost sales and profits, you can use the system for your training needs as well! How do you handle customer service for the patrons of your business compared to what you can do by using our product and service? What if you could also automate the way you support your clients and customers? Do your new clients and customers tend to have questions that need to be answered? Do they need to be shown how and what to do relative to using your product or service? Automating your customer service with presentations designed to support them is a huge opportunity to brand you as a market leader in your niche! You know what the most common issues and questions are in your market niche, so why not address them with perfect automated presentations that make you look great and provide a great customer service activity at the same time? Not only that, but you are providing a valuable service in an incredibly cost-effective manner because once your automated presentations are created, they can be summoned up again at the push of a button! Finally, if you've never done seminars in your market to demonstrate your authority as a market leader then perhaps you've been missing the boat! But that's in the past... and today, you can automate all of that, too! What do you currently do to educate your clients and customers on new products, services, and innovations within your business and market niche? It's often been said that one of the most powerful selling strategies is to educate your prospects on things that can provide them with value or solutions for challenges and problems they currently have. Why not give some thought to what kinds of seminars you can do for the clients and customers of your business? There's a good chance that it will contribute to your bottom line in a big way, and at the same time firmly position you and your business as the expert in your market! Depending upon what kind of business model your business has, you may also discover that you can charge fees for seminars, plus upsell and promote other products and services that your business carries! Compare what you are doing now to build repeat purchases in your business with what you can do by using carefully planned and produced automated presentations that zero in on creating repeat business for you. What do you currently do relative to creating repeat business? How do upsell, cross-sell, and promote other products and services that you may have? Is the strategy you employ effective? Do you even have a strategy in place for this? It's been said that your best prospects are the ones who have already done business with you! They said YES once already, and they're more likely to buy from you over and over again because you've already established a relationship. Whether your goal is to upsell, cross-sell, encourage more frequent purchases, or create referrals, creating the perfect automated presentations to accommodate your profit goals makes good sense! Creating automated presentations for the benefit of your existing clients and customers is a savvy marketing strategy that can further increase sales and profits for your business!